Building My Sewing Toolkit: What is a Serger and How Do I Use It? Are you new to sewing or still a beginner? It’s time to start building your sewing toolkit now! As your skills become more advanced, your sewing kit should too. What is a serger? If you’re asking this question, this article is a fantastic place to start. We’ll teach you all about sergers and why they will help you with your sewing! If you’re looking to hone in your sewing skills to sew garments, a serger allows you to make professional stitches and seams. It’s a professional grade sewing machine that uses overlock stitching to secure fabric together. An overlock stitch is the type of stitch used to finish shirts and other popular garments to ensure the fabric doesn’t come undone. Sergers use thread casing to enclose the seam on the fabric edge while simultaneously trimming the seam. Sergers are available with many thread use, width, and density options. The options will vary depending on the serger you purchase, with the most expensive having the most options. A 2-4 thread serger uses two-thread overlock stitching on the edge. This stitch is also referred to as a safety stitch. This machine uses two threads and can create the stitches separately. 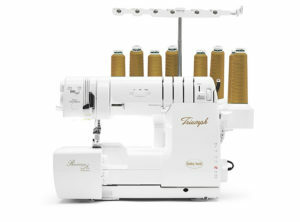 This serger uses three or four different threads. Using four threads provides a more stable seam with less flexibility and more width. Three threads have some flexibility and stretch. When using the four thread overlock stitching, it doesn’t provide a true safety stitch. The strength of the seam is strong, but not as strong as the safety stitching in the 2-4 thread. 5-thread sergers are the most expensive of the bunch with all of the capabilities of other machines plus more. It uses two threads, three threads, or four threads separately for seams depending on your preference. This serger makes it possible to stay on one machine for the entire process of making a garment instead of switching between machines for stitching. Each serger does different things but all sergers have the following functions. Finishing seams are one of the best ways to use your serger. Your edges are clean and it eliminates the need for hand cutting. Do you love ruffles? Using the serger’s ability to gather adds ruffles to any piece of fabric. Want to add ruffle sleeves on your new shirt? Done. Want to make homemade ruffle curtains? Piece of cake. If you are using a lot of knit fabric as your fabric of choice, a serger’s stitches make the seam flexible enough to not pull the fabric in an unnatural way. Another great function of a serger is cover stitching. Coverstitching folds the raw edge of your fabric underneath into the inside of the garment. By doing this, it allows the machine to make a professional, ready-to-wear stitch. Sergers make it possible to finish your fabric edging so your fabric doesn’t unravel. While they aren’t necessary for all beginners, having one will help you make clean edges. If you’re planning on growing your sewing toolkit, learning more about what is a serger and the types available is a must. Check out our Baby Lock Sergers today! Learning how to sew is hard enough, but there’s an entirely new learning curve for mastering sewing technology. There is always new technology coming out for working with fabrics. While learning new technology can be frustrating, it’s meant to help make your work easier. Once you master the learning curve, you can save yourself a lot of time and frustration. One of the best sewing technologies out there are the Brother Scan N Cut machines. These amazing inventions are made to work with both fabric and paper. To find out more about how to use Brother Scan N Cut machines, check out the guide below. What Are Brother Scan N Cut Machines? 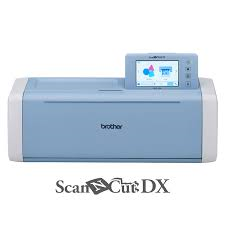 The selling point of Brother Scan N Cut machines is their scanner that varies in DPI (dots per inch). Through this scanning mechanism, you can scan images or sketches to create designs. You won’t need any additional technology to create what you want on your fabric. The Brother tagline for this machine emphasizes that you can simply scan, cut, and create your project with no additional steps. The entire process is streamlined through the Brother Scan N Cut machine. A background scan that allows you to edit your cut design on an LCD screen before execution. 12″ by 12″ and 12″ by 24″ cutting mats and scanning areas that allow you to cut more and save time. The ability to transfer your cutting designs by USB. A welding feature that can handle drawings, shapes, and font on the LCD screen. Seam allowances that help with piecework. Editing that’s easily accessible on the LCD screen. Fabric preserving settings that can compensate for working with smaller pieces of fabric. These features can not only save you time but money as well. Saving time means more money for small businesses to spend on other fabric orders. Additionally, the features can help you avoid mistakes that can be costly when working with fabric. Since this machine also works with paper materials, it’s important to check your setting before beginning anything complicated like embroidery. This also applies to different fabric projects, as the Brother machine depends on the thickness of the material you’re working with. You will need a fabric support sheet on the fabric mat system before you begin your work. Don’t forget to smooth out air bubbles that appear before you begin. When you’re ready, you can have the machine cut your fabric. Make sure to do a test cut before you commit more of your fabric. The Brother Cut N Scan machines are excellent for cutting fabric into the design of your choice. They are essential for reducing the time and stress you put into your sewing products. 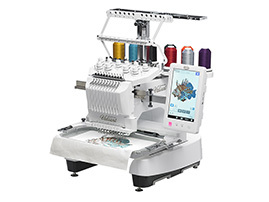 Don’t forget the cost-saving aspects of these Brother machines – especially for complicated embroidery projects. That is what technology is all about. If you’re interested in experiencing one of these machines for yourself, don’t forget to check out our ScanN Cut SDX225 Model. American needlework has a rich history stemming all the way back to the 1700s. Young girls learned to embroider as early as age five, and they actually used these crafts to learn their numbers and letters by sewing them onto their creations! Embroidery is still a widely popular hobby, and there have been a lot of advancements made. There are a lot of new technologies that can be used for it. Embroidery machines are an amazing technology that can make creating easier and more efficient. If you are a newbie to using one of these machines, you’re probably wondering what to do with your embroidery machine. Well, fear not! We’re here to help. Of course, the very first thing you need to do with your new embroidery machine is to learn to use it. Even if you’re a master of embroidering by hand, machine embroidery has its own set of new challenges and new fun. Plus, every brand of machine is different, so there’s a lot to figure out and master. Make sure that all the parts of the machine are adjusted and secure before you start to use it. If you don’t do this, it might not run or work as it’s supposed to. Worse, it might fall apart halfway through what you’re doing and ruin your project. It’s also important to make sure the needle is set correctly. You also need to know how to operate its parts and make it run. Just do your research on how your embroidery machine works and you’ll be fine! If you’re reading this, you probably already know that embroidery is a great outlet to express your creativity. There are so man styles and designs on infinite surfaces that you can create that it can get overwhelming, in the best possible way! Once you’ve figured out the mechanics behind how to operate your machine, you can start to experiment with patterns, styles, and colors in this fun new way. Get some different color thread or buy a pattern off Etsy. Think about possibly trying something new that you’ve always wanted to make but struggled to do by hand. With an embroidery machine, the possibilities you can create are endless! To get started, check out some ideas on Pinterest for what you might want to make. Another really fun thing you can do is to take an embroidery class. We are offering free classes this month, each with a different teacher who has a unique skill set. Don’t wait and miss the fun! An embroidery class can help you learn new skills that you never would have even thought of on your own. It can not only help your embroidery skills but can expose you to new things you love. Embroidery is a lot of fun because it lets you experiment with styles and try new things. Now that you know what to do with your embroidery machine, check out our FAQs to learn more. Buying an embroidery machine can open up a world of creative possibilities for any person, no matter the skill level. The great thing about this hobby is that there are many different projects that can be completed using embroidery, so the limit is your imagination! 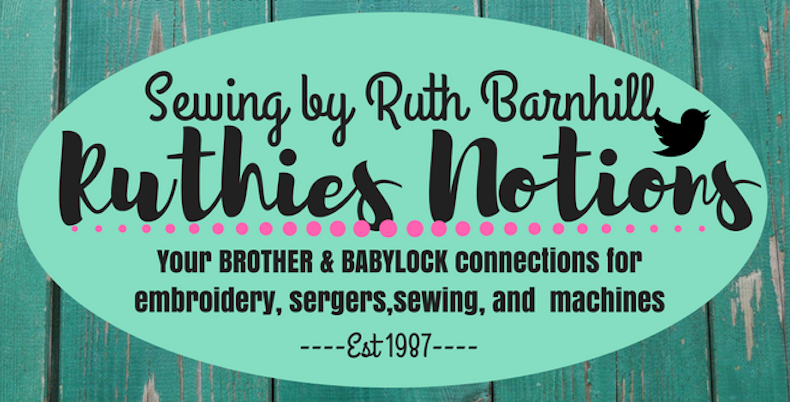 How can you find a Baby Lock or Brother embroidery machine that fits all of your needs? Keep reading to get 5 tips that will help you purchase the embroidery machine that will be a perfect match. One of the worst things that people have to worry about is if their new machine breaks and they have to get it fixed. Having a warranty saves you a headache if your machine potentially has a problem or needs something corrected right after you buy it. Many dealers will have their own technicians available and this saves you a lot of time and money when your machine may need servicing. Even when you need to get your machine cleaned, having a warranty could be beneficial for you. 2. Is the Touch Screen Black and White or Color? An embroidery machine that has a color screen is going to offer more options to the user. You will be able to touch and drag designs around more freely and be able to select different types of functions. Each machine brand is a little different. One way to find the best option for you is to actually test out different embroidery machines and see which feels the best for you. Don’t always believe all of the hoops you will need come with the machine. 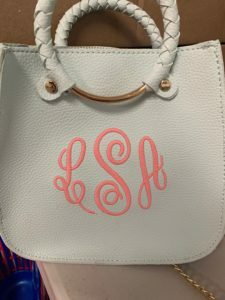 You will want to know exactly which embroidery hoops or accessories come with the machine before you purchase it. When you are working on a project, you will probably need more than one size hoop to complete it. It’s better to be prepared ahead of time to know the price of extra hoops and whether or not it will fit into your budget. 4. Are You Able to Add More Alphabets? Modern Brother and Baby Lock embroidery machines will include alphabets, but not all of them have multiple options to choose from. If you decide you may want to add more later, you want to know ahead of time if this is possible and how you will be able to do it. Some companies are able to offer free software that you can download onto your machine, but others require you to purchase it elsewhere. Know what you are getting into. 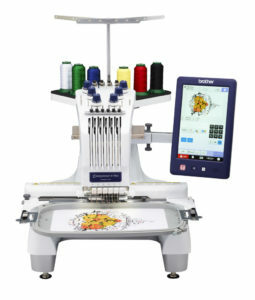 Digital embroidery machines are all the rage now, but you still have options. Free-motion embroidery is when the user can control everything about the machines direction, needle, and stitch. You have complete power over where the needle stitches and how the design will look. Computerized embroidery is a more modern take on embroidery and gives you the ability to make even more unique designs. The cost of these machines is higher, however, so you need to consider which option fits your needs. 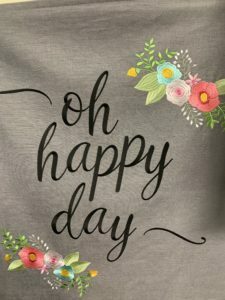 Buying an Embroidery Machine Soon? It may seem like a difficult task to find the right embroidery machine with so many options out there, but doing research and spending time testing machines before buying is a wise choice. When you are buying an embroidery machine, you have to weigh the pros and cons of each machine in order to make an educated purchase. We are passionate about embroidery and sewing, so please check out our website to find out more about us and how we can help you buy a great Baby Lock or Brother machine. Would it surprise you to learn that quilting is a very expensive hobby? If you make your living as a quilter, you already know this! 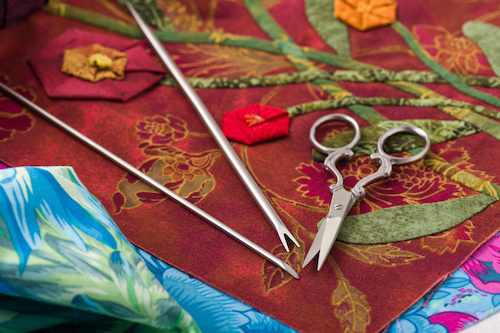 The typical serious quilter owns $13000 in quilting tools and supplies, like thread, needles, quilter gloves, etc. and $6000 in fabric. Are you a quilter? Do you own reams of fabric and an expensive quilting machine? Do you make or watch machine quilting tutorials? 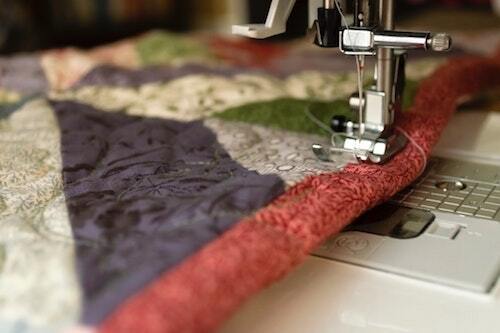 Did you know that you can use a standard machine for free motion quilting? If you are new to free motion quilting (fmq quilting), you’ll be eager to learn. A quilter at any skill level can learn free motion quilting. To help, you could always find classes near you for quilting and other techniques. Here’s everything you need to know as a beginner. Free motion quilting might sound daunting to you if you’ve spent years making straight-line quilts. Don’t worry. We’ve got you covered. FMQ quilting is a quilting technique where you add stitches to the surface of the quilt by sewing in any direction. When using a standard machine, you have to disconnect the feed dogs and switch out the foot to give yourself the range of motion necessary. If you are unable to disengage the feed dogs on your machine, you can use a Supreme Slider. This product enables your quilt to glide on the slippery surface it creates. The quilt needs to be on a level surface so that it doesn’t slide and pull the stitches. Tip: When using a standard machine, a drop-in table is your best option. Drop the machine in so that it is flush with the table. Don’t jump right into making a large quilt. Practice first on scraps or smaller projects. Do you have a certain free motion quilting pattern in mind? Try it out first to get the hang of it. Some small project suggestions are potholders, a baby quilt or even a table runner. What Does It Mean to Sandwich a Quilt? A quilt sandwich consists of a top layer, the batting, and the quilt backing. These layers to together with basting stitches. Once the quilt is basted, you can move on to the main seams. For this step, use the walking foot to stitch all of the main seams of your quilt. Follow a plan or sequence. Test the tension of your thread as you go. If you are concerned about the tension allowing the bobbin thread to poke through, use the same color thread for the top and bobbin. In most instances, FMQ calls for lowering the feed dogs. This is so it doesn’t interfere with the fabric motion. There are some new machines that require the feed dogs to be up while free motion quilting. Once you find the proper way to do it on your machine, gently move your quilt under the needle to create the free motion pattern you desire. Now that you’ve learned more about free motion quilting, are you ready to try it? 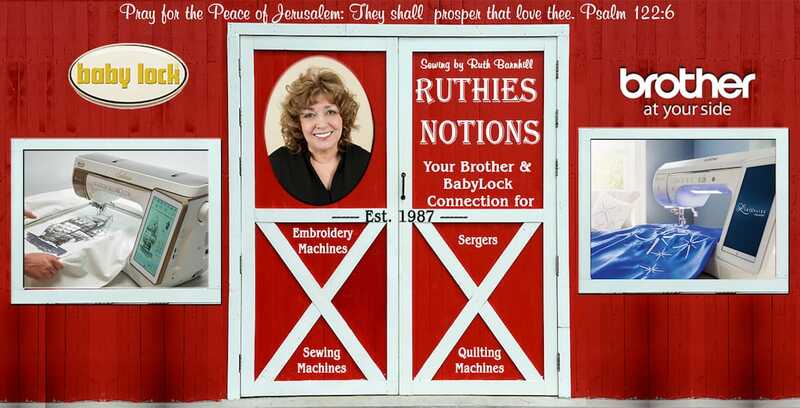 We at Ruthie’s are here to help you expand your creativity. Contact us for all of your sewing needs. Sewing and other handicrafts are seeing a huge boom recently. Part of the trend is due to the therapeutic benefits of the hobby. When you sew, you not only create beautiful things you can be proud of, but you can improve your health. You can relieve stress and anxiety, improve your fine motor skills, promote brain cell production, release more dopamine, and help prevent dementia. Knowing this, it’s a great idea to learn how to applique. Practicing more difficult sewing techniques can likely increase the positive effects of this hobby. Look for classes near you where you can learn techniques. To find out more about how to applique like a pro, continue reading the guide below. Applique is a complex form of needlework that results in ornamental designs. The process is essentially the act of sewing a smaller piece of fabric onto a larger piece. It can, however, consist of many pieces of fabric sewn to create an intricate design. This fascinating technique can even be dated back to the ancient Egyptians. In fact, cultures around the world use it to create beautiful garments. Like most sewing projects, applique can be a time-consuming activity. If you go with a simpler design, however, it can be an easy project. Of course, there are many steps to follow, and your decisions at each step can add time to your project. Before you begin working, you need to choose a design. You can find a pre-made design from a template, or create your own. It’s no surprise that creating your own applique design will take time. Make sure to use fabric scraps first so you don’t ruin your intended fabric. The more tight corners in your design, the more difficult it will be to sew. For the next step, you’ll need template plastic or cardstock. You will trace and cut your design on this. Once you have the fabric in the right shape, use fusible or transfer web to temporarily adhere it to the surface you’re sewing it onto. This will make it much easier to sew correctly. Lastly, decide how you want to sew your applique. More specifically, do you want to do it by hand or by machine? Again, this will affect the time it takes to complete the project. The main difference here is that a machine cannot turn under the edges of the design. It can, however, save you loads of time. With a machine, you can choose between a satin stitch, blanket stitch, straight stitch, or zig-zag stitch. Remember that the color of your thread will make a huge difference in the finished product. Complementary colors will make the edges of your design stand out, while analogous colors will make the edges blend into the backing fabric. Learning how to applique is not the easiest process, but it’s a beneficial one. Once you master the technique, you can make unique gifts for friends and family that no one could ever find in a store. 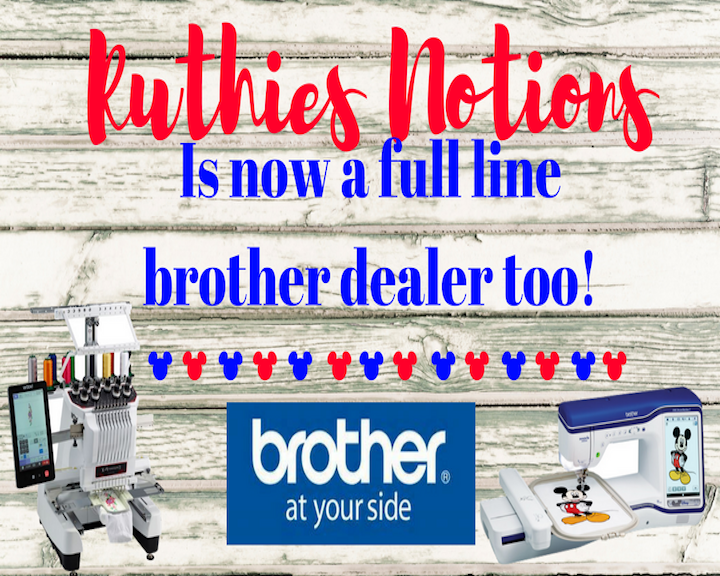 If you’re looking for the perfect machine to start your applique adventure, don’t forget to check out our Baby Lock or Brother embroidery and sewing machines. What could you do with your own Baby Lock machine? What if you could start your own business and be your own boss? Take your ideas and dreams to extraordinary heights with our Baby Lock line of embroidery, sewing machines and sergers. We will teach you how to use your machine, how to order wholesale, how to price your finished products and much, much more!